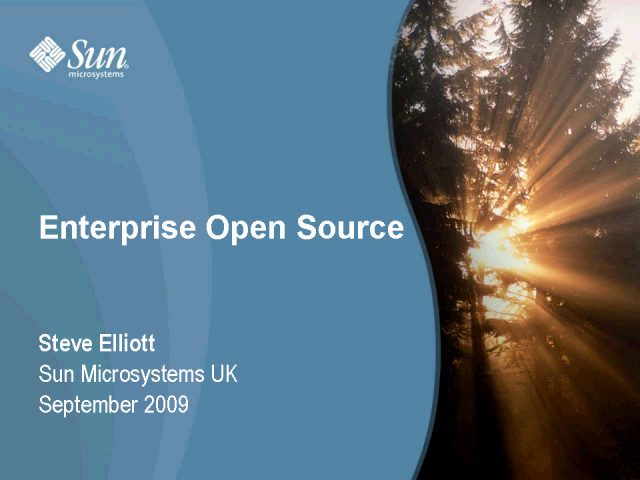 Enterprise class open source software can help to dramatically cut costs, lower deployment and vendor risk and enable innovation to solve real problems. Compared with alternative choices, Sun's investment in product development combined with broad community support results in the best vendor to provide global support and services for open source software. Sun product and solution updates and overviews. Covering Sun Hardware and Software and Open Source.